NYC Photo Blog | beIMAGED Photography | beBLOGGED: yay new york! 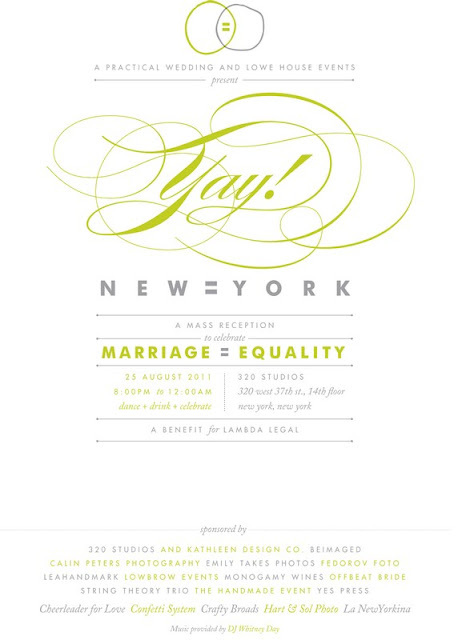 I have not shouted out yet on my blog (although I have to the world) how extremely and utterly happy I am that New York state has finally come to its senses about marriage equality for all! So here I am shouting! And as an extension of my happiness sharing, I am excited to spread the anticipation about an event that I will be attending and photographing this Thursday night called Yay New York! Hosted by A Practical Wedding and Lowe House Events, it is a three-parter party that is going to be so much fun. 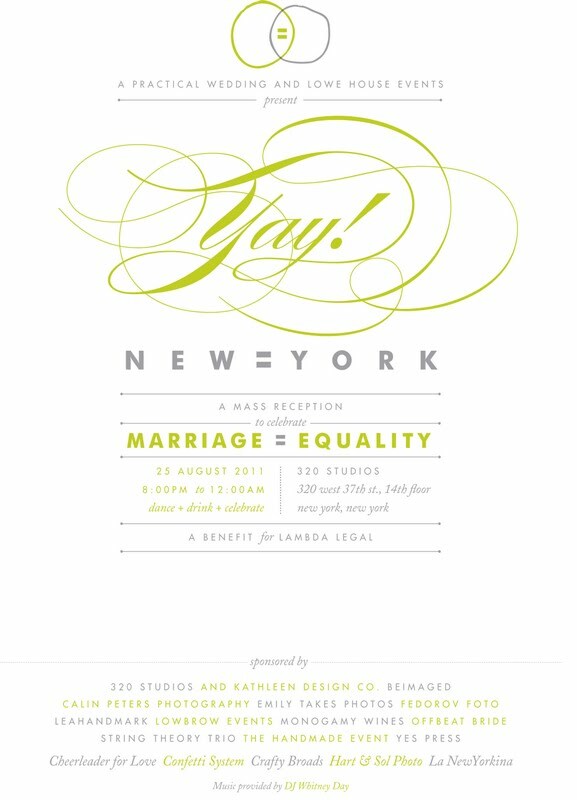 Not only is it going to be a celebration of New York's Marriage Equality Bill, but also the celebration reception of two weddings being hosted earlier AND a fundraiser for the amazing and incredibly important organization Lambda Legal. Absolutely everyone and anyone is invited! You can find more details on A Practical Wedding here and you can buy tickets here. Hope to see you there!